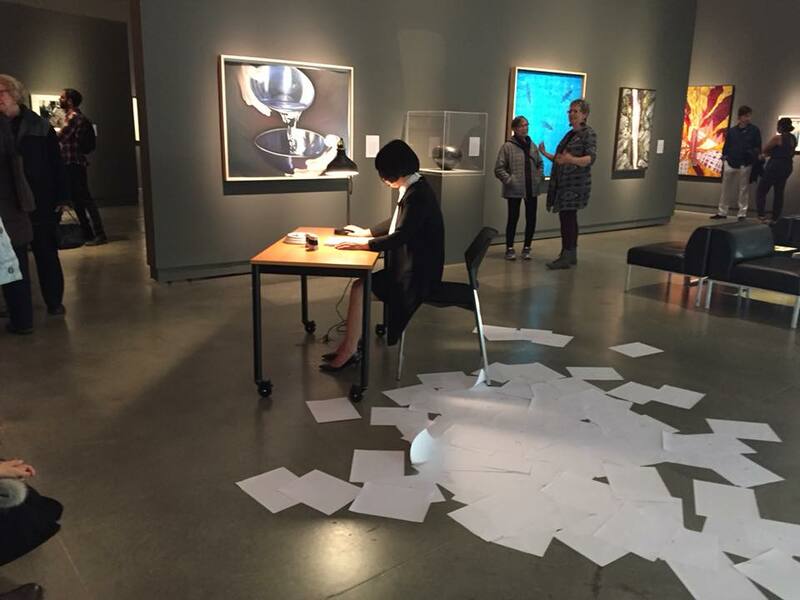 AgentC Projects is excited to be working with Surrey Art Gallery to present The Undocumented, a new performance work by Chun Hua Catherine Dong and to engage her to participate in a performance art workshop. Thank you to all of those amazingly engaged individuals who at Surrey Art Gallery, and our workshop guests who participated in the performance workshop — it was such a great experience! AgentC Projects gratefully acknowledges the support of the City of Surrey's Cultural Grants Program. Body is political. Working within the gap between body as image and body as experienced reality, Dong uses the body—often her own body— as a visual territory in her work and a primary material to activate social commentary on immigration, race and gender. By encapsulating these global issues in microcosm or magnifying personal predicaments until they become universally visible, she presents the body as an embodiment of dynamic human relations, locating herself at the nexus of author, artwork and audience. Her artistic practice is based in performance art, photography and video, in which she explores themes of “East/West” and “self/other” within the contemporary context of global feminism. Her work deals mainly with cultural intersections created by globalization and asks what it means to be a citizen of the world today. She opens dialogues about “deterritorialization” and “disessentialization” in culture and how to transform socio-political landscapes through gestures. The gestures in her work are symbolic and metaphoric—at times subversive, meditative, subtle and/or humorous. They express her desire to transform everyday political life into art, as she strives to instil a model for social transformation. In her earlier works, the body represented an ideological confrontation or political alienation. She developed the idea of representation as a political tool to give visibility to those made invisible by dominant ideologies. In her newer works, she views the body as a bridge connecting East and West, past and present, creating a new version of hybridity and striving to transcend and mend.